Yo Ho Mateys! 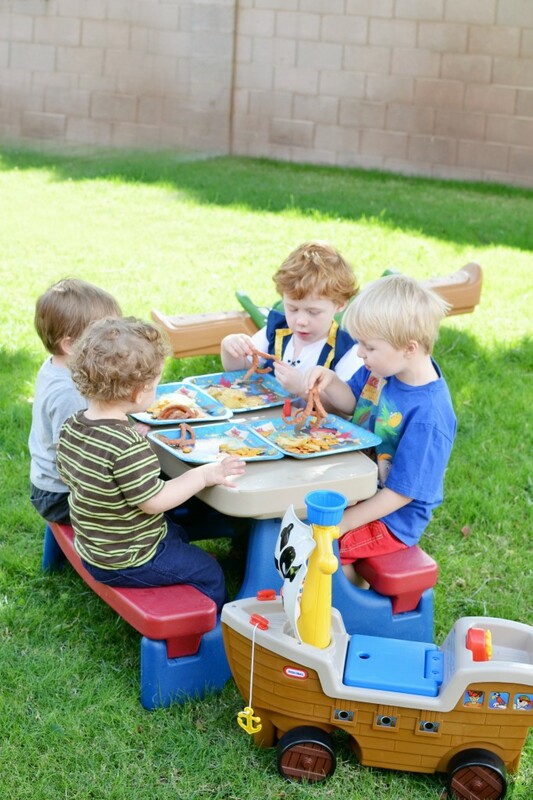 The boys and I hosted a fun Jake and the Neverland Party last week. 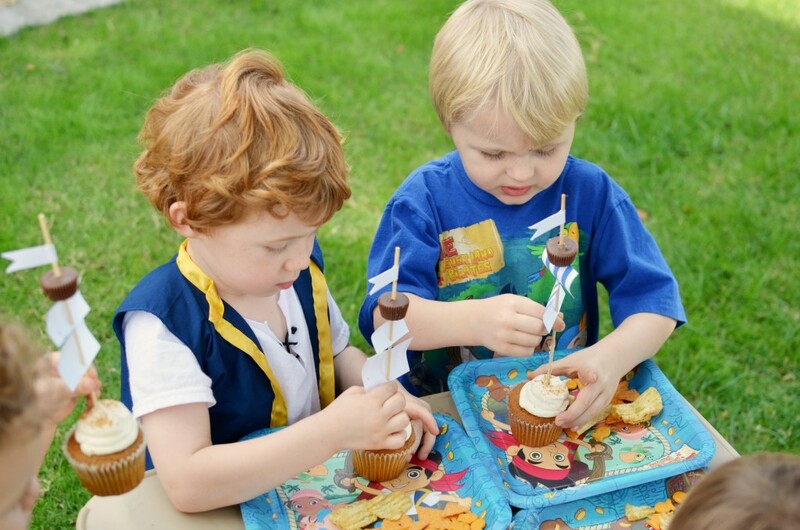 We invited their pirate crew over for a fun day filled with pirate grub and #DisneyKids themed activities. Thanks to Mom Select and Disney for sending me all the essentials for our buccaneer bash, we had everything we needed for a fun Disney celebration. 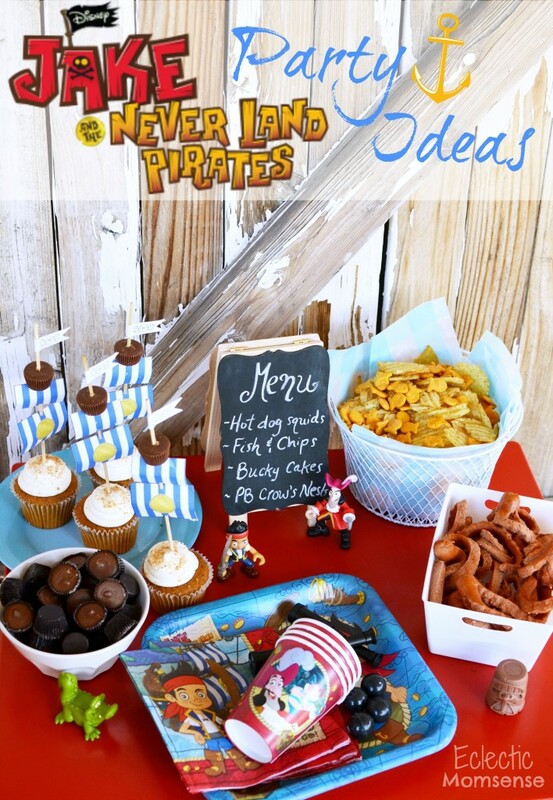 We kept things simple with a few pirate themed finger foods and delicious treats. 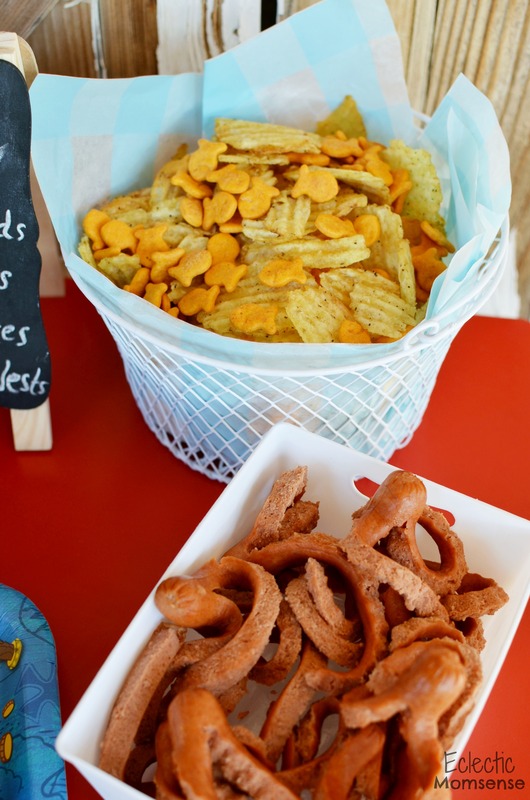 Our friends have hosted a few Jake parties in the past and we just loved the silly squid hot dogs and fish and chips. In fact it’s the only way we serve up our hot dogs for our 2 year old now. Cutting a cold hot dog is so much easier and he loves dipping the squiggly squid ketchup and chomping down. The fish and chips were a hit too. A fun little play on words and two of the kids favorite crispy side dishes. Lunch was a hit. The kids had a fun little outdoor picnic, taking play breaks to walk the plank (teeter totter) and take Bucky for a spin. For dessert I served up Bucky cupcakes and crow’s nests. These were a hit too! 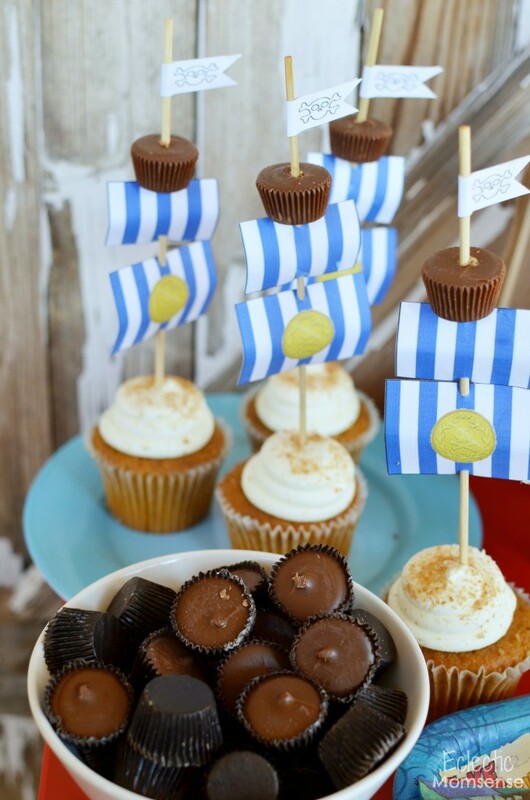 A simple printable and reese’s cup assembled take on the form of the pirate crew’s favorite ship. The kids ran around playing pirate games all afternoon. We took a cool down break to play a little #DisneySide BINGO. 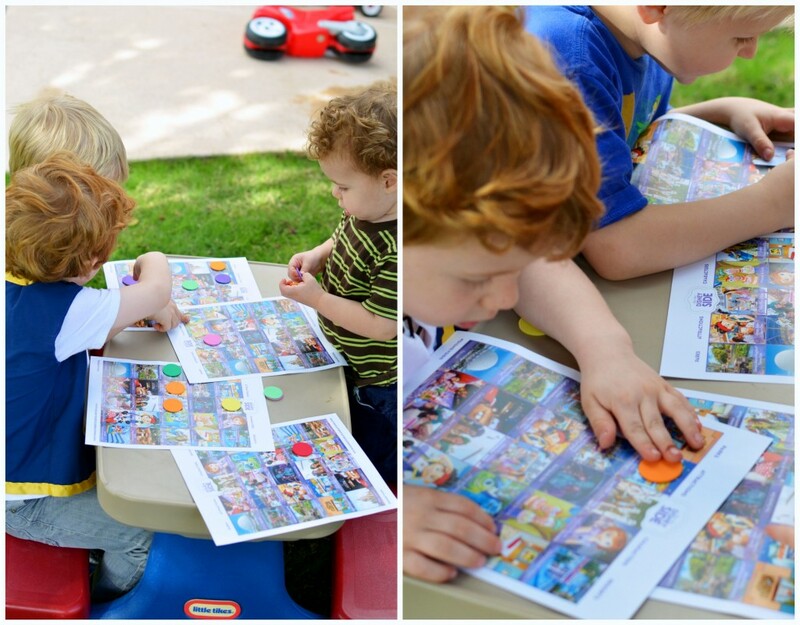 The kids loved searching the board for their favorite Disney Park attractions and characters. The Kinetic Sand was the winner though. The kids loved playing with the Jake toys, burying them in the sand. It’s squeezable sand that comes to life. I love it because it isn’t as messy as classic sand. The Kinetic Sand comes pre-moistened and won’t dry out. 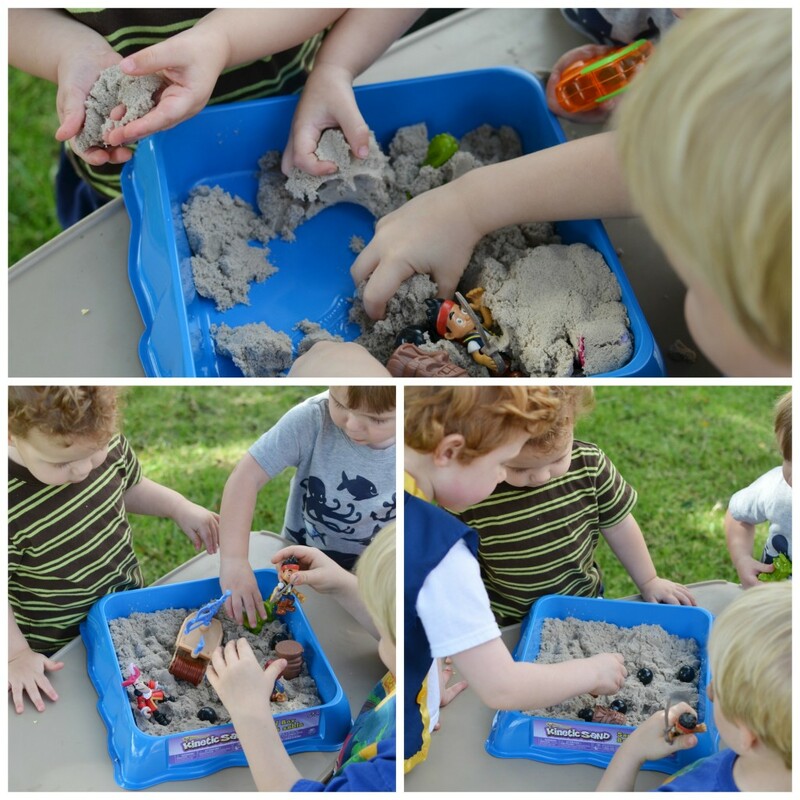 As the kids squeeze, mold, and dig in the sand it holds it’s shape, then moves around. Disclosure: I received a #DisneyKids preschool kit and free product to help me host this playdate. As always all thoughts and ideas are my own.